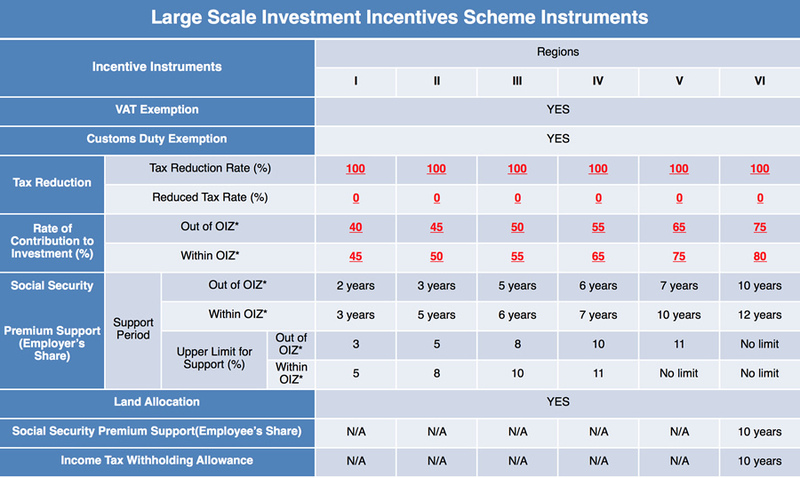 ・Not excluded from the investment incentive programs. 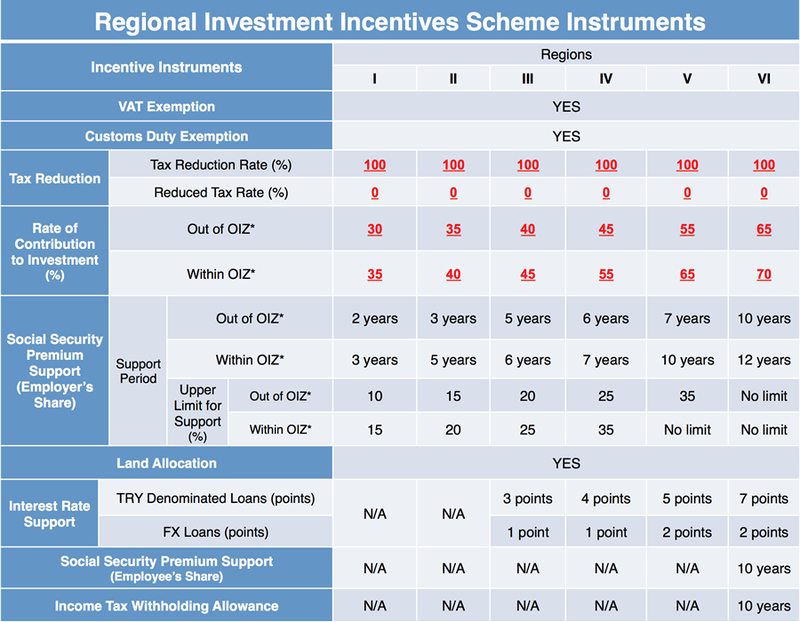 ・The minimum investment amount is met. ・1 million TL for 1st and 2nd regions. ・500.000 TL for 3rd, 4th, 5th and 6th regions. Doped chemical elements for use in electronics such as disks, scales etc. 12 investment subjects, which will potentially foster Turkey’s technology, R&D capacity and competitiveness, are supported by Large-Scale Investment Incentives Scheme instruments. “Input Supply Strategy” – to support manufacturing of intermediate and final products with high import depedence. 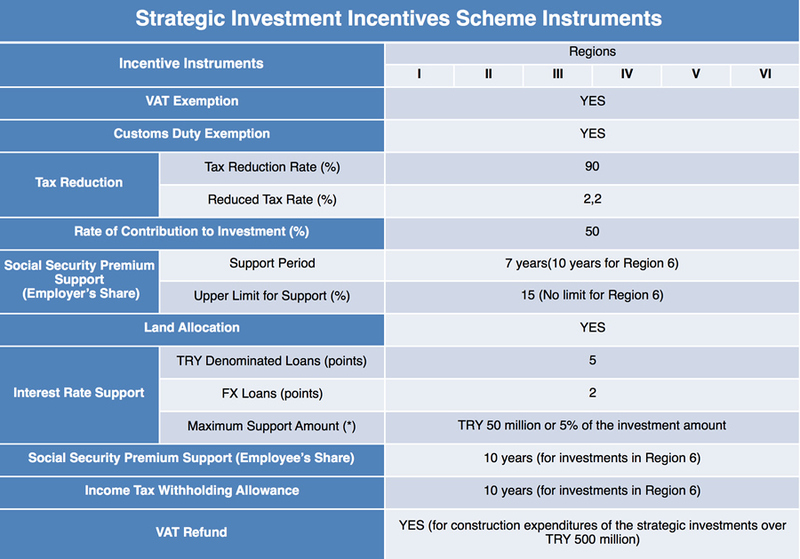 Encourage high-tech and value added investments to take place in Turkey to increase global competitiveness of Turkey. The domestic production capacity for the product to be manufactured with the investment shall be less than the import of the product. The investment shall have a minimum investment amount of TRY 50 million. 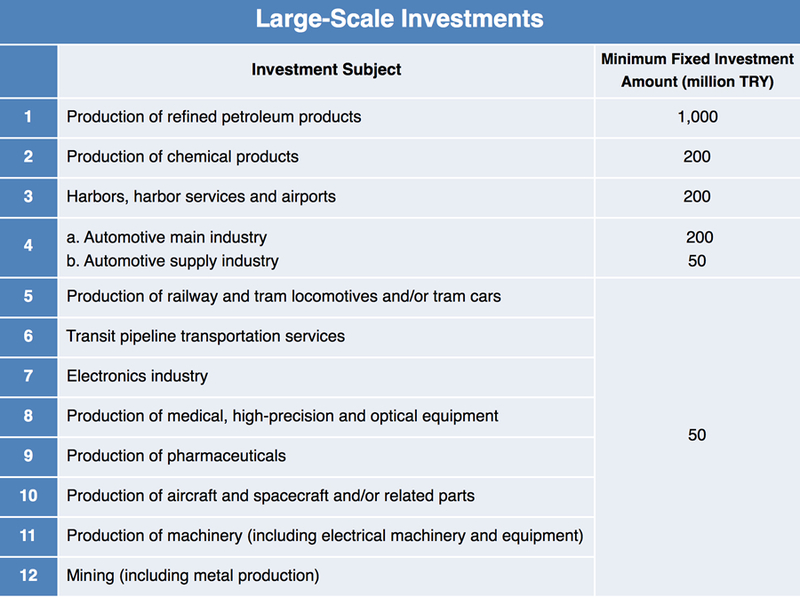 The investment shall create a minimum added-value of 40% (this condition is not applicable to refinery and petrochemicals investments). The total import value of the product to be manufactured with the investment shall be minimum of USD 50 million as of the past one year (excluding products that are not locally produced).